Graphic designer & campaigner working with progressive social causes, people powered movements and radical culture. Currently busy, (⏱) designing campaigns ⤴ Small Axe. ⤵ Scroll down for a selection of work. School Cuts is a campaign with the National Education Union for fair school funding across England. After almost a decade of austerity, school budgets are in crisis. 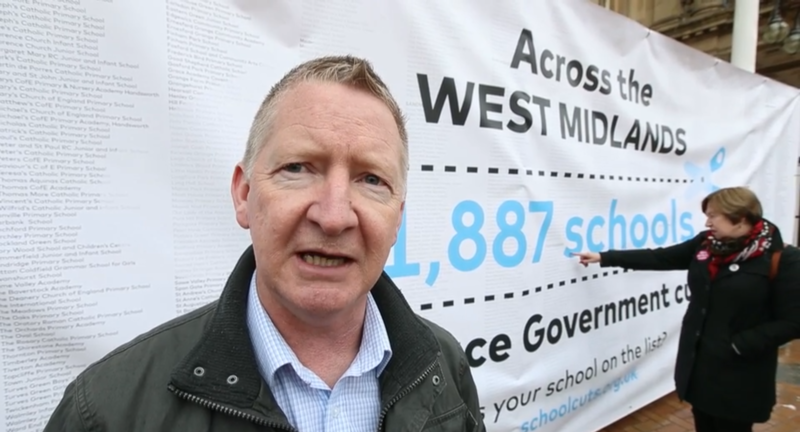 The campaign is built around a website that gives localised figures for how the cuts will affect local schools across the country. It turns the big-data from large, abstract numbers into localised figures relevant and real to parents. It has grown into a powerful movement of parents, communities, teaching staff and unions. We Can Win combines the strengths of grassroots community organising with forward-thinking digital and creative communications. We are organising in local communities to find and train a generation of progressive community leaders and councillors. We began our campaign in the heart of the City of London, an area where the world’s wealthiest banks sit alongside a community of ordinary residents and low-paid workers. Our Get Out The Vote efforts boosted turnout in the two residential wards and, for the first time in a long while, we elected resident councillors to Britain’s most secretive local authority. The Progressive Alliance is a movement for a better politics, where progressive people and parties work together to create the change we want to see in society – greater equality, democracy and sustainability. we built a national movement that led the way in progressive collaboration and targeted thousands of tactical voters in key constituencies around the country. The Progressive Alliance thwarted the Conservatives in 22 of our 31 target seats and ended their Parliamentary majority. Chicory 'flexine' was an exhibition by the artists Roger Lougher and Anne-Mie Melis. They experimented with growing chicory plants in the un-natural space of the gallery. Out of the exhibition came a poster, a website and a small publication made up of recipe cards and documentation of the performances. Meliora Journals are a series of multi-authored publications that explore the relationship between art and activism. Each publication is the outcome of a collaborative public workshop. They act to bring people together, including those who would not otherwise have met, and attempt to start a conversation, an informal environment for change inspired by public expression and community. It attempts to break down the barriers to 'activism' and acknowledge the power of creativity in everyone. A series of posters visually manifesting the 12 core rules at the heart of Saul Alinsky’s indispensable tome on community organising, ‘rules for radicals’. These 12 rules are still very pertinent to contemporary organising/campaigning. Every designer with an interest in social causes should read this book. Rodchenko is a work-in-progress facsimile revival of the lettering found on the cover of Sume Cheng, The Chinese Woman, designed by Alexander Rodchenko in 1929 for Gosizdat (The state publishing house, Moscow) A radical publication in it's layout, from the golden age of constructivist photo-montage and book design. Damiaan Melis is a graphic designer and campaigner. He was born in Belgium but has been residing in the UK for almost 20 years. Working across print, digital and moving image, he is passionate about forward thinking design for progressive social causes and people-powered movements. He is currently a designer and member of Small Axe, a non-profit, workers co-operative and integrated campaigns/communications agency. Currently, his practice is underpinned by the shaping of visual identities and communications for courageous campaigns. Damiaan Melis is a graphic designer and campaigner. He was born in Belgium but has been residing in the UK for almost 20 years. Working across print, digital and moving image, he is passionate about forward thinking design for progressive social causes and people-powered movements. He is currently a designer and member of Small Axe, a non-profit, workers co-operative and integrated campaigns/ communications agency. Currently, his practice is underpinned by the shaping of visual identities and communications for courageous campaigns.